Adorable Gift Baskets delivers gift baskets to DE for holidays and all occasions. Gift baskets themes include such special occasions as birthday, get well, new baby, thank you, sympathy, housewarming, corporate and personal events. Gift baskets contain products such as gourmet food, fresh fruit, coffee, tea, chocolates, snacks, cookies, bath and body products, unique gifts and presents. Send gift baskets, gifts, flowers, fruit and presents to DE. Send Gift Baskets to Delaware with Easy Ordering at Adorable Gift Baskets. Selecting a gift basket to send should never be burdensome, especially when the gift is meant to surprise a close friend or loved one. If you live in Delaware or have a loved one in Delaware. Adorable Gift Baskets makes shopping for gifts a cinch. We deliver Delaware gift baskets with care...giving you peace of mind knowing your loved one will be delighted when their gift arrives. One event that always deserves a special gift is buying a new home. Perhaps your friend just bought a new home in Delaware and you want to give them a warm welcome. Make their move more enjoyable with a housewarming gift basket. Delaware gifts delivered for housewarming greetings include items suited for moving into a new home. Perhaps some snacks such as chocolate-covered nuts or fruit to munch on while your friend unpacks and decorates their new home. A decorative candle gift basket is sure to brighten their new home. Some of our DE gift baskets for a new homeowner even feature a cutting board and cheese knife for the kitchen or useful gardening accessories to start their new garden. Keep up with your gift list for loved ones by ordering Delaware gift baskets during the holidays. Bring cheer to all your recipients with Christmas gifts delivered to your Delaware loved ones containing seasonal goodies and candies to satisfy the sweet tooth. At Adorable Gift Baskets, our sent gift baskets to DE for Christmas are beautifully decorated with holiday ribbons or flowers, and festive, eye-catching food wrappers. 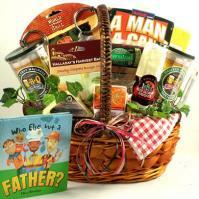 DE gift baskets come in a variety of shapes and sizes, and of course....there are baskets for all ages and genders. Surprise little ones with a Christmas basket created specifically for kids featuring holiday candies or cookies and small toys or books. Or, celebrate the holidays from a distant by sending DE gift baskets to your parents or a distant cousin. Keep those romantic fires burning by surprising your boyfriend or girlfriend with a holiday Delaware gift delivered to his/her door. You can also have Delaware gifts delivered as a thank you gift to someone you appreciate dearly. Let them know how thankful you are for their help and/or guidance....or just thank someone for being a faithful friend. Thank you Delaware gift delivery by Adorable Gift Baskets helps you show appreciation without spending a fortune. You can order and send gift baskets to Delaware by just browsing our gift catalog and selecting your send options. Ordering DE gift baskets is easy, but your friend or loved one will remember your gesture for a lifetime! The first state to ratify the U.S. constitution was Delaware. The first scheduled steam railroad in the nation was in Delaware. The only state without any National Park Systems is Delaware. The Methodist Church of America was organized in Delaware. John DickinsonÌs childhood home is preserved in Delaware. The flag Betsy Ross created was first flown in Delaware. The official state insect of Delaware is the ladybug. The first automatic flour-milling machine was invented in Delaware. The largest coastal resort town in Delaware is Rehoboth Beach. Delaware is home to the famous FisherÌs popcorn. The official state flower of Delaware is the peach blossom. The largest dune in Delaware is 80 foot. Nylon was first produced in Delaware. Delaware has only three counties. The Delaware Breakwater was the first structure of itÌs kind in the Western Hemisphere.